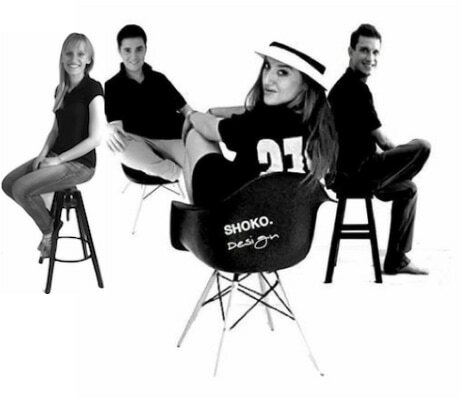 SHOKO.DESIGN IS A FAMILY INTERIOR DESIGN COMPANY AND HAVE BEEN SINCE 2012 ON THE MARKET. THE DAILY COOPERATION BETWEEN THE SHOKO TEAM IS BRILLIANT, ENERGETIC AND VERY CREATIVE. SINCE THE YOUNG AGE WE WERE HUGE FANS OF LEGO BLOCKS AND WE HAVE CREATED VARIOUS COMPOSITIONS OUT OF THESE. OUR FIRST DESIGN PROGRAM WAS THE GAME SIMS, THAT TURNED WITH TIME INTO A PASSION TO DESIGN INTERIORS. OUR PARENTS INSTILLED OUR PASSION IN TRAVELING AND TOOK US FOR VARIOUS LONG DISTANCE TRIPS, TO INSPIRE US WITH THE SURROUNDING WORLD. SHOKO.DESIGN IS AN ART INTERIOR DESIGN COMPANY. WE CREATE AND LOOK FOR INSPIRATION IN THE WORLD SURROUNDING US. THE AIM OF OUR WORK IS TO CREATE A SPACE DESIGNED TO REFLECT THE CHARACTER AND THE INTERIOR OF OUR CUSTOMERS. WE CREATE INTERIORS WITH A UNIQUE CLIMATE AND ATMOSPHERE - INTERIORS WITH LEITMOTIF THAT EXPRESS THE OWNERS.